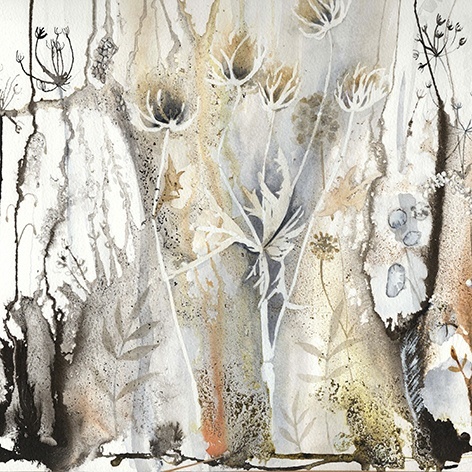 This picture displays many earthy and neutral tones with added detail in ink. A painting that you can look into and see more and more. A giclee print of a watercolour titled Winter Teazles by Penny Silverthorne in an antique white double mount measuring 400 mm square.